Hair Weave Stylist| Weave Tightening Specialist in Hyde Park – Book Online! Intriguing Hair selling high quality Weave Retightening & Style wig extensions, hairstylists, celebrity hair extensions online at affordable price. Free Next Day Shipping. Shop Now! This service allows client to tighten your existing extensions and includes curl and style. 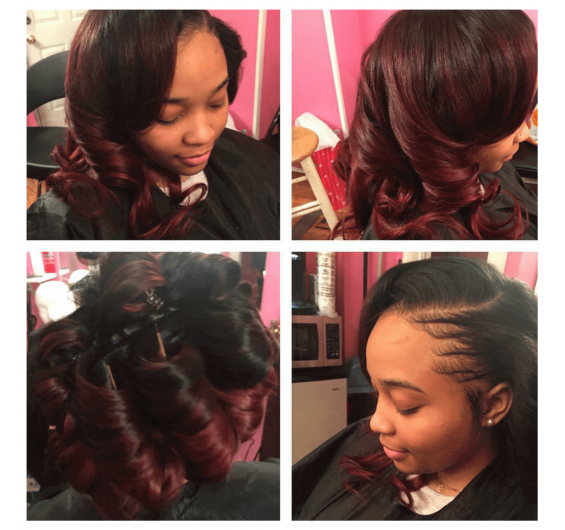 If you are searching for a hair weave stylist near me in Boston, Intriguing Hair is the place to go. Intriguing Hair is a professional salon to find a weave specialist near me in Boston. We offer quick and easy weave tightening services. Our pro stylists offer fast, safe hair extension tightening when you're ready to refresh your look. We can fix a loose weave and tighten sew in hair weave to get your hair looking as good as it did the first time you had it installed. Not only that, Intriguing Hair's affordable weave retightening solution will be performed by a professional stylist trained in weave retightening. We will tighten your tracks and get your hair looking beautiful once again. Maintenance appointments have never been more comfortable. Never wait on hold again when trying to reach the salon by phone to book a simple hair appointment. Use our online booking system above to select a date and time of your choosing for weave retightening today. This service is for weave retightening. This service allows clients to have their existing extensions tightening and also includes curl and style. Clients typically come to the salon for tightening every 3-4 weeks to maintain sew in hair depending on how fast your hair grows and how well the weave has been maintained since you first had it installed.